A view of Tesla’s Shoreham, Long Island lab, circa 1902. In 2013, the abandoned historical building was purchased to establish the Tesla Science Center at Wardenclyffe. Paul Cataldo, of Paul Cataldo Architecture & Planning PC, has been asked by the board of directors at the Tesla Science Center at Wardenclyffe to serve on the Advisory Panel for the museum buildings and grounds, located in Shoreham, Long Island, NY. 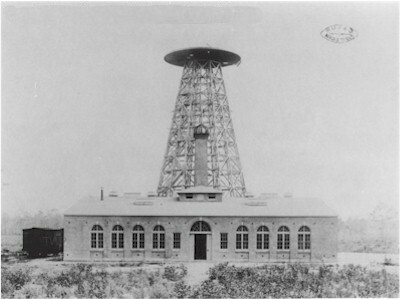 The Tesla Science Center at Wardenclyffe (Friends of Science East, Inc.), a not-for-profit organization, was established with the specific purpose of developing a regional science and technology center on eastern Long Island at the former site of Nikola Tesla’s laboratory in Shoreham, Long Island. Tesla was a Serbian-American inventor and scientist most famous for his contributions to the design of the modern alternating current (AC) electricity supply system.